Are you fluent or semi-fluent? Please indicate the days and time periods that you are generally available to serve. Are you a legal resident of the United States? I certify that the information in this Volunteer Application is true, correct and complete to the best of my knowledge. I authorize Kiran to verify any and all information I provided by contacting appropriate sources. I understand that for the protection of visitors, volunteers and staff, all adults (age 18 and up) must voluntarily authorize a background check and I hereby authorize such background check. I understand that Kiran may order a consumer report to obtain this information, and I authorize the release of that report to Kiran. I release form liability any individual, company, institution or agency that provides information that I have authorized to be released about me. I waive my right of privacy with respect to the background information listed above and agree to hold Kiran and its agent harmless from any liability from the results of its investigation or actions taken on the results. I understand that I have a right under the "Fair Credit Reporting Act" to obtain a copy of my report by directing a written report request to Kiran. I may also obtain a copy of this report my checking the yes box at the bottom of this disclosure. I further understand that I have a right to request a complete and accurate disclosure of the nature and scope of the report by directing a written request to Kiran. In consideration of being allowed to intern or volunteer my services at Kiran, I hereby acknowledge that there are certain risks of injury involved, and I knowingly and freely assume all such risks and assume full responsibility for my participation. To the extent allowed by law, I agree to indemnify and hold harmless Kiran, its officers, employees, agents, representatives and volunteers, of all liabilities and all loss or damage to person or property which may occur or be incident to my involvement or participation. 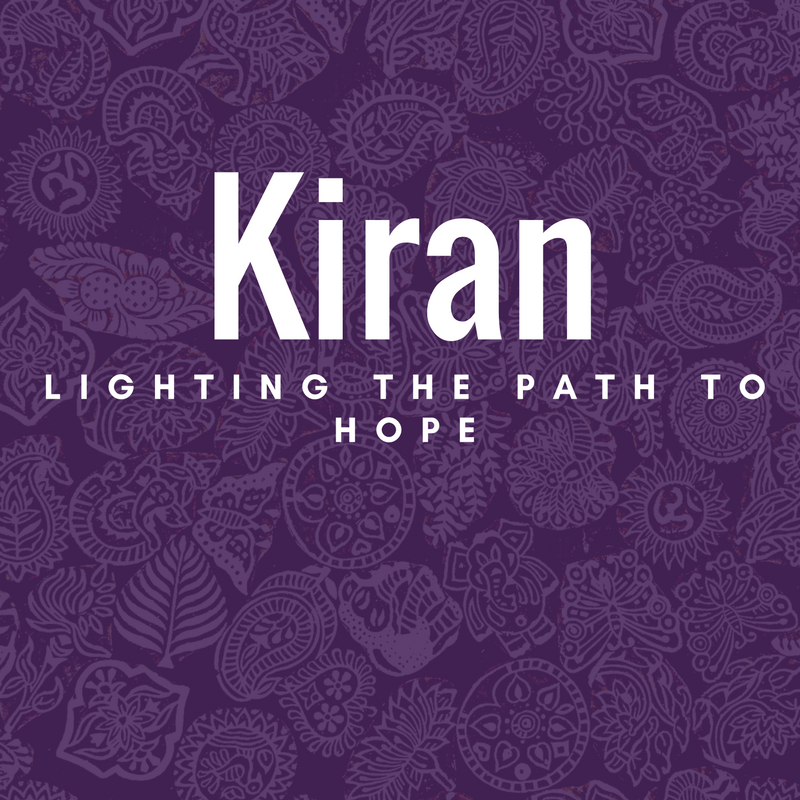 I recognize that as an intern or volunteer of Kiran, a North Carolina non-profit organization, I may have access to confidential information concerning Kiran, its guests, clients, advocates, employees, volunteers or representatives. In consideration of any internship or volunteer status with Kiran, I agree I will not at any time, during or after volunteering for Kiran, divulge or reveal to any person, firm, or corporation, any information (including, but not limited to, personal or financial information or customer lists), directly or indirectly, which might in any way be used to injure or interfere with the business of Kiran, or to alienate guests, clients, advocates, employees, volunteers or representatives from Kiran or to cause discontent or dissatisfaction among any such persons. I agree that should I have any questions as to the propriety of release of any information, I will request clearance from Kiran prior to releasing such information. Kiran and Volunteer & Intern acknowledge that Volunteer & Intern, in performing the terms and conditions of Volunteer & Intern's, will directly or indirectly gain access to information about Kiran and its operations, including, but not limited to, its modes and methods of conducting its business and marketing its services, its Volunteer & Interns, customers, funders, sponsors, contributors, donors, supporters, vendors and referral/contributor source lists, its trade secrets, its copyrighted and non-copyrighted or non-protected computer software programs, files, its techniques of operation, its financial structure, and its weaknesses, if any (hereinafter referred to as "Confidential Information"). Kiran and Volunteer & Intern acknowledge and agree that all Confidential Information shall be deemed to be highly confidential. Volunteer & Intern agrees not to disclose, communicate, reveal or divulge, in any way, any Confidential Information to any person or entity not employed by Kiran or one of its affiliates, unless the Executive Director has given advance written approval to such communication. Even if authorized, in no event shall Confidential Information be disclosed or communicated, revealed or divulged by Volunteer & Intern to any person or entity who is not a Kiran Volunteer & Intern, if Volunteer & Intern could reasonably foresee that such communication would adversely affect Kiran's business. Upon termination of employment with Kiran for any reason, or at any other time Kiran demands, Volunteer & Intern shall deliver promptly to Kiran all material, property (computer, cell phone, communication hardware, name badges, etc. ), and documentation relating to Kiran, including without limitation all memoranda, notes, records, reports, files, manuals, agency reference binders, drawings, blueprints, Volunteer & Intern lists, customer lists, referral lists, vendor service lists, software, programs, and other documents, whether or not of a confidential nature, belonging to Kiran, including all copies of such materials which Volunteer & Intern may then possess or have under Volunteer & Intern's control. Volunteer & Intern further agrees that upon termination of employment, Volunteer & Intern shall not retain any document or data of any description containing or pertaining to the Confidential Information. Volunteer & Intern agrees to maintain, protect and keep secure any and all Confidential Information pertaining to Kiran and to not disclose any of this information to any third parties. Volunteer & Intern hereby acknowledges and agrees that it is important for Kiran's operations to protect and preserve its Confidential Information; Kiran reserves the right to question its Volunteer & Interns, generally and specifically, regarding Confidential Information. Volunteer & Intern agrees that the terms of this Confidentiality and Non-Disclosure Agreement shall survive termination of Volunteer & Intern's employment, whether that termination is voluntary or involuntary. I understand that any misrepresentation of information on this application is cause for immediate termination of my volunteer or internship activity. Further, I understand and agree that my internship or volunteer experience is on an at-will basis and may be terminated at any time and without previous notice.